If you have any information about these crimes or any person(s) involved, you are urged to call Crime Stoppers at 309-762-9500 or submit a Web Tip . You do not have to give your name. CRIME STOPPERS will pay a cash reward of up to $2500 and you can remain anonymous. 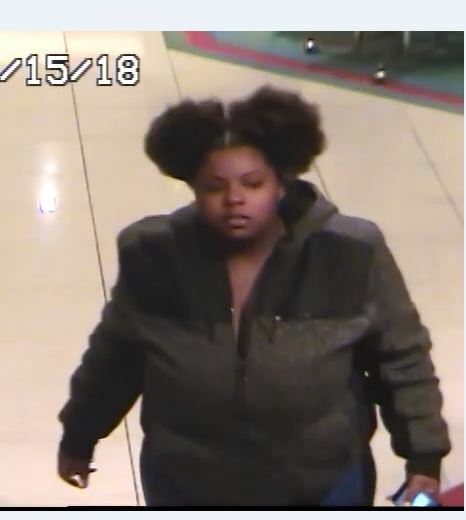 On January 1, 2018 at around 6:00 pm, at Northpark Mall, the victim was approached by the pictured white male and black female. 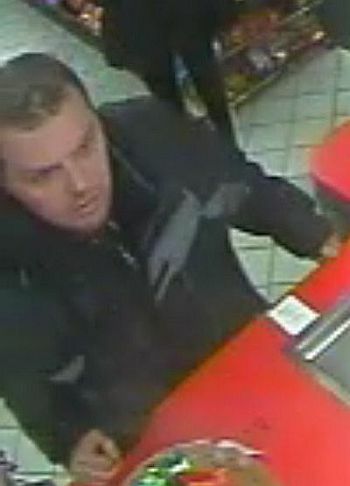 The male tried taking the victim’s purse. When the she refused to give it to him, he sprayed her with pepper spray. The suspects fled in a blue van. If you know who they are, call the tip line 309-762-9500 or submit your tip using the free app P3 Tips. All tips are anonymous and you could earn a cash reward. 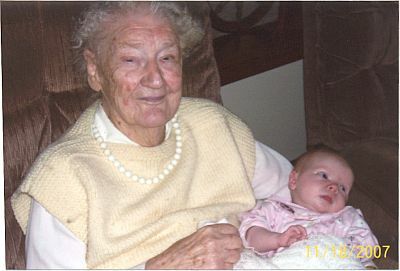 On August 30, 2008, Harriett Crandall was found murdered in her home in Milan IL. The murderer set the house on fire to try and conceal what they had done. Please help find the person or people who committing this heinous act. If you saw something, say something. Call the tip line at 309-762-9500 or submit using the free app P3 Tips. You could earn a cash reward of $2,500. Let`s give this family some closure! On Wednesday, October 31st, 2018 at approximately 10:09am, Moline Police were dispatched to the 2100 block of River Drive in reference to one vehicle shooting at another vehicle as they were westbound on River Drive. Simultaneously, Moline Police Officers heard several gunshots in the 1600 block 7th Avenue, and shortly thereafter located a victim in his vehicle behind City Hall. The Rock Island County Coroner identified the victim as 22-year-old Corey Harrell of Moline. Mr. Harrell died of traumatic gunshot wounds and was declared deceased at the scene. The investigation has revealed Mr. Harrell was the target of the unknown offenders who began shooting at him in the 2100 block River Drive. The shooting continued until Mr. Harrell received a fatal gunshot wound in the 1500 block 7th Avenue. The offenders were last seen in a newer model black SUV with unknown registration, fleeing the area westbound on 7th Avenue. 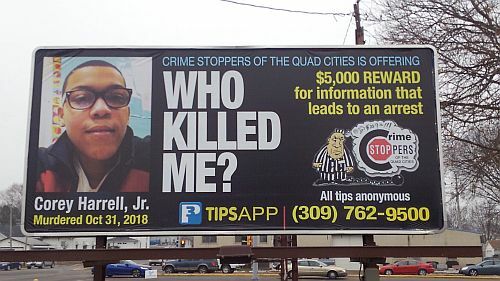 Crime Stoppers of the Quad Cities, along with private donations from a concerned public, are offering a $10,000 reward that leads to the arrest of the person(s) responsible for the murder of Mr. Harrell. The Moline Police are continuing to diligently investigate this case in an effort to apprehend the offenders. We are asking anyone with information about the murder to contact Crime Stoppers of the Quad Cities at 309-762-9500 or the Moline Police Department Criminal Investigations Division at 309-524-2140. Sometime between January 19th and 21st, someone shot a wild turkey with an arrow in the area of 545 Valley View Drive, Moline. 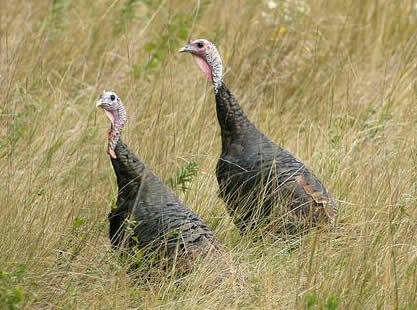 Two wild turkeys had been beloved Moliner’s living in this area. The arrow was found with blood and feathers on it but the hunter apparently took the turkey with him. If you know who is responsible call the tip line 309-762-9500 or submit your tip using the free app P3 Tips. All tips are anonymous and you could earn a cash reward. 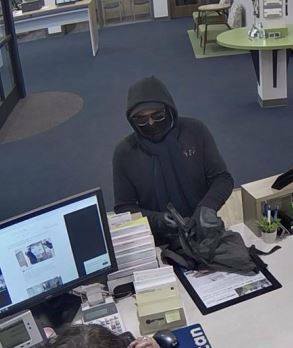 On January 18, 2019 at 9:43 AM, Moline Police responded to an armed bank robbery at American Bank and Trust in the 2300 block 41st Street. The suspect pictured below was armed with a black and silver handgun and fled the area on foot south of the bank to a small white sedan that was parked in the 2400 block 41st Street. If you know who is responsible for this armed robbery call the tip line 309-762-9500 or submit your tip using the free app P3 Tips. December 15, 2018, someone called Von Maur in Moline with a credit card order for two pairs of children’s North Face brand boots. The transaction was approved. Later, the pictured female arrived at the store to pick up the two pairs of boots. It was later discovered that the purchase of the children’s boots was fraudulent and that the same person had attempted to make another order for more boots and provided three different credit cards which were denied. Do you recognize her? If so, call the tip line 309-762-9500 or submit your tip using the app P3 Tips. All tips are anonymous and you could earn a cash reward. 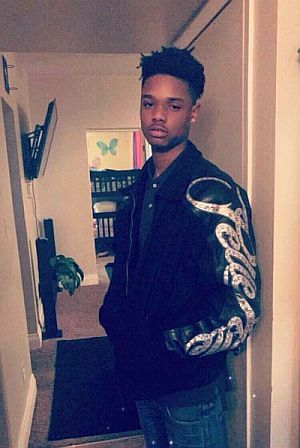 On October 31, 2018, Corey Harrell Jr was shot and killed while in his vehicle in the area of Moline City Hall. The suspects shot at him from a black SUV. Moline Police are seeking information on this case. Crime Stoppers is offering a $2,500 cash reward and an additional $2,500 is being offered from a private donor, for a total reward of $5,000. If you have information call the tip line 309-762-9500 or submit your tip using the free app P3 Tips. All tips are secure and anonymous. If your tip leads to an arrest in this case you could take home the $5,000 reward. On Wednesday, October 31st, 2018 at approximately 10:09am, Moline Police were dispatched to the 2100 block of River Drive in reference to one vehicle shooting at another vehicle as they were westbound on River Drive. 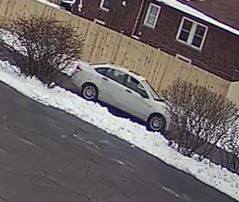 The investigation into the homicide of Corey Harrell Jr., continues and the Moline Police are asking for the public’s assistance in locating the pictured vehicle. 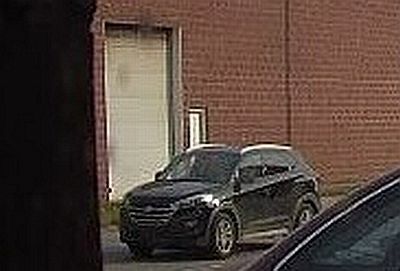 Moline Police are asking anyone with information regarding the vehicle or the suspects in the vehicle to contact the Moline Police Department at 309-524-2140. If you have information and want to remain anonymous, call Crime Stoppers of the Quad Cities at 309-762-9500 or submit your tip using the free app P3 Tips. If your tip leads to an arrest you’ll receive a cash reward of UP TO $2,500. 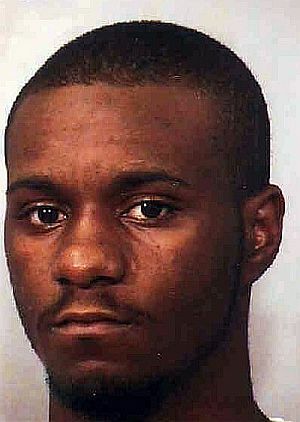 On August 3, 2003 at about 1:45 a.m. Shannon Williams, Age 29, was walking in the westbound lanes of Illinois Route 5 in East Moline when he was struck by an unknown passenger car, described as a white, early 90`s model sedan; possibly an Impala, Celebrity, LeSabre, Dynasty or Electra that has a square, boxy body style. The car then fled the scene westbound on Route 5. Bystanders came from Two River`s Tavern (Now known as Chopper's) and rendered first aid to Williams, who was found lying on the north side of the westbound lanes. Another bystander attempted to follow the suspect vehicle, but lost it in traffic somewhere near Barstow Road. Williams was transported to Illini Hospital by ambulance, and was later transferred to Trinity West Medical Center, where died. 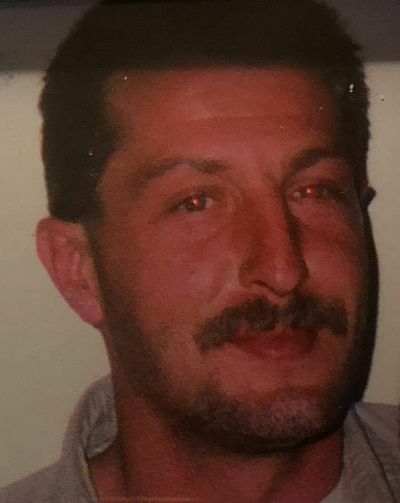 The public’s help is needed to solve this 15 year old cold case. The family wants to know who hit Shannon and left the scene. If you have information, call the tip line 309-762-9500 or submit your tip using the free app P3 Tips. 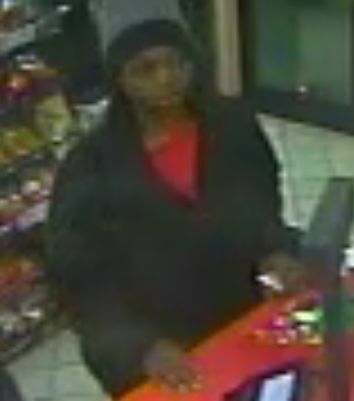 All tips are anonymous and you could earn a cash reward of up to $2,500. Around 2:32 AM on Wednesday, June 7, 2017, Davenport Police were called for a report of a gunshot victim at a residence in the 1000 block of West 8th Street. When officers arrived on scene they found Cainnan Gates, Age 34 had been murdered. This homicide is still unsolved. Crime Stoppers is offering a cash reward of up to $2,500 for information that leads to an arrest. Call the tip line 309-762-9500, submit your tip here, or tap the app P3 Tips. On May 19, 2018, someone shot 16 year old Jovontia Jones at the Hilltop liquor store on Harrison Street in Davenport. He died from his injuries the next day, May 20th. Davenport Police are asking anyone who knows something about this shooting to contact them. To remain anonymous call the Crime Stoppers tip line 309-762-9500, or use the app P3 Tips. Crime Stoppers tips are anonymous and you could earn a cash reward of up to $2,500. 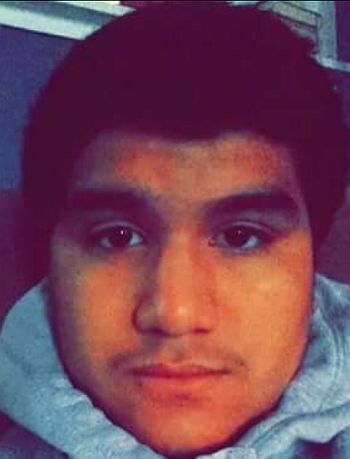 On January 26, 2018, Davenport Police were called to the 1300 block of Warren Street and found that 17 year old Angel Herrera had been shot. He was transported to the hospital where he died. On Wednesday June 27, Angel would have turned 18 years old. Angel’s family deserves to see justice. Crime Stoppers is offering a cash reward of up to $3,000 for information that leads to an arrest of the person responsible for Angel’s murder.